Pickled Pirate! : Pirates in Paradise! encampment at Fort Zachary Taylor State Park, and a mock trial of Anne Bonny and Mary Read - history's most famous female pirates! There's not a better time to enjoy the favorite drink of the pirates - rum, during a pirate pub stroll! There will be several vessels to sail the high seas, as well as swordsman, story tellers, and many other types of pirate entertainment. 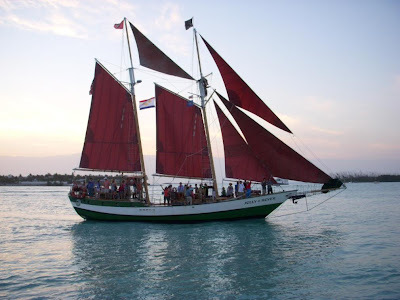 If you ever wanted an excuse to go Key West, here it is!